For someone who is looking for a TV, there are certain features that are a must. It should offer a 4K resolution with decent audio and picture quality, have a decent design and come with smart TV features. Most importantly though, it shouldn’t break the bank. You may think that this is asking for too much for a reasonable TV, but you will be glad to know that we found a perfect model with all of these features and more. Now, allow us to introduce the Toshiba 43LF621U19 Fire TV Edition. Toshiba Corporation is a multinational conglomerate that has its headquarters in Tokyo, Japan. It was first founded as Tokyo Shibaura Denki K.K. in 1939. This Japanese company manufactures and sells a variety of services and products, which include electronic materials and components, information technology and communications systems and equipment, social and industrial infrastructure systems, power systems, household appliances, medical equipment, consumer electronics, and several more. 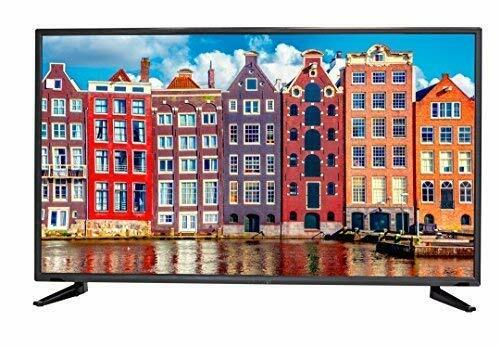 If you are on a budget and looking for a good 4K television with great picture and audio quality, then the Toshiba 43LF621U19 is exactly what you need. This TV delivers bright and rich colors, and it comes with several smart features that make it fun to use as well. What we like the most about this TV is that it comes integrated with Amazon’s Alexa. The Toshiba 43LF621U19 has a simple and elegant design. It is made from durable plastic, and the border is very narrow, measuring in at barely 0.8 inches. This TV has a maximum thickness of just 3.74 inches, and there are no gaps and any other issues with the design either. If you intend to place the TV in a unit, the stand is quite wide and supports the TV’s weight properly. However, it does not lift it up quite high. Hence, those looking to place a soundbar ahead of it may find some difficulty. For those looking to mount the TV on the wall, it does not protrude much. The inputs are easily accessible too, as they face outwards. This TV has an average temperature of 93 °F and a maximum of 106 °F. With the Toshiba 43LF621U19, you will be able to enjoy phenomenal 4K ultra-HD picture quality that has over eight million pixels. This offers vivid colors, stunning clarity, and deep contrast. We tested multiple videos at different image qualities starting from 480p SD going all the way up to 4K, and we were truly impressed with it. This TV comes with a fantastic contrast ratio as well, which enhances the picture in darker environments. Additionally, it also has a decent SDR peak brightness, which can help sustain a steady level of brightness through different window sizes. What we really liked about this TV is how well it is able to deliver the black levels and uniformity along with how well the contrast is rendered. The black uniformity is quite strong, and its levels are also quite deep. All these factors are extremely important as they play a huge part in how well the TV’s high dynamic range can be shown off. The Toshiba 43LF621U19 comes with an exceptionally well motion blur control. When the content on the TV shifts rapidly across the screen or even when there is a frequent change in the luminosity, the pixels keep up with all of it as smoothly as possible. This results in a smooth picture that is free from blur. One of the USPs of this Toshiba TV is its integrated Fire TV smart platform and all its accessories. Fire TV is an amazing platform. It provides the TV with a smart interface, which is very intuitive, and its user interface is also quite easy to get used to. What we also liked is that it integrates well with Amazon’s assistant Alexa’s voice features through the remote. It is really good at understanding human speech and is quite responsive too. Then again, it doesn’t just end there. This Fire TV platform also comes with a plethora of apps inside, which houses hundreds of thousands of movies and TV shows. There are countless streaming services you can avail, thanks to the Fire TV platform. Furthermore, the remote itself has dedicated buttons for HBO, Prime Video, PS Vue, and Netflix. The Toshiba 43LF621U19 is an ideal TV for those who need a 4K-quality image with smart TV features, all at a reasonable price. The TV offers decent picture quality whether you watch at 480p or 4K resolution. What’s more, this TV comes integrated with the Fire TV platform, which gives you access to half a million TV shows and movies. Furthermore, you can access some of your favorite streaming channels, such as Netflix and HBO, at the click of a button. We compared the Toshiba 43LF621U19 to the Sceptre X415BV-FSR 40-inch LED TV to put it to the test one more time. Other than its design and the fact that the two are LED TVs, there wasn’t anything common between them. Difference-wise though, there were several. To begin with, the Sceptre TV is three inches smaller.Still, that’s just a minor difference. The major difference is that it offers a max resolution of 1080p instead of 4K. Furthermore, Sceptre TV’s stand is oddly shaped, which does not support the TV well and makes it wobble. The biggest difference of all is that it does not come with any sort of smart TV features; you will have to use an external Fire TV stick or Google’s Chromecast. 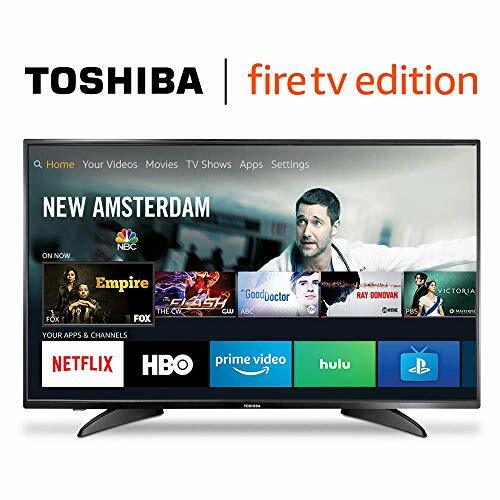 The Toshiba 43LF621U19 is an affordable 4K HDR TV that delivers decent picture and audio quality as well as comes with all the benefits of the Amazon Fire TV platform and Amazon’s Alexa. While there may be a couple of flaws here and there, they honestly don’t matter much in the larger scheme of things. We recommend that you buy this right away.